Fortunately, Urban has up-time help. He can rely upon Cardinal-Protector Larry Mazzare’s theological savvy, Sharon Nichols’ medical skills, and her husband Ruy Sanchez’s keen-eyed experience as a body-guard-in-chief. And even though Urban has a new Papal Guard in the form of Owen Rowe O’Neill’s Wild Geese, Mike Stearns has loaned the Pope a small contingent of the Hibernian Battalion—just in case. Charles E. Gannon is the author of Compton Crook Award winning, Nebula nominated novels Fire with Fire, Trial by Fire, and Raising Caine, in the Caine Riordan series. 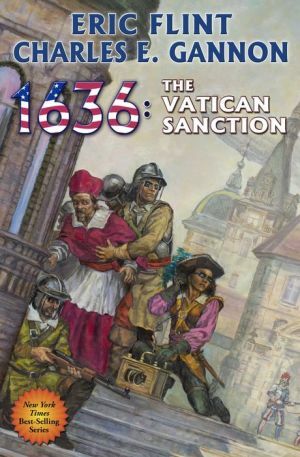 He is the coauthor with Eric Flint of 1636: The Papal Stakes and 1636: Commander Cantrell in the West Indies in Eric Flint's best-selling Ring of Fire series. With best-selling Steve White, Gannon is the coauthor of Starfire series entries Extremis, and Imperative. Gannon is also the author of multiple short stories. He is a member of SIGMA, the "SF think-tank" which has advised various intelligence and defense agencies since the start of the millennium. Chuck lives near Annapolis, Maryland with his wife and children.